Unfortunately, on tuesday, this week, the primary file server acting also as a domain controller at the studio, failed. The issue was caused by an error on the primary RAID array where the OS was installed. This lead to a complete loss of the OS and the entire studio setup. I don’t know what caused the problem, but when I returned to the studio, all my machines were restarted, running, but restarted. The Internet Router I used for external access was also down. I had to manually start up some services and buy a new router. Then, when Windows Update popped up on the file server and I hit “Install Updates”, since I figured when it was all down anyways, I may as well update the system. That was the biggest mistake! The server crashed into a BSOD and I had to restart it manually which resulted in the failed RAID array and the complete loss of the OS. The other issue was with the MD1000 DAS with all the company and projects data on. Since I configured it as a software RAID I lost the complete array with the OS. The data is still on the drives, but I can’t access them, since the OS is down. Portal 2, a game of the year! In case you’ve never played the original Portal mini-game from Valve (included with the Orange Box combo), you should definitely go and check it out. The original Portal game was a mini-game bundled with the Orange Box games released back in late 2007. After finishing Half-Life I started the game and was immediately hooked in. The story was rather simple, but still interesting to keep playing. You were a test subject trapped in a synthetic testing environment controlled by a psychotic AI mainframe. Spoiler alert! You escape the testing chambers and kill the psychotic robot in the end. Now, the game was a first-person 3D action puzzle game. A very strange and rare combination, but extremely fun and addictive. You solve puzzles primarily using a device called Portal Gun which creates one entry and one exit portal anywhere you attach these to appropriate surfaces (you can’t do that on all types of surfaces, though). Fast forward to 2011 and we have here a sequel to the very popular mini-game. This time in an AAA title of its own. To say that this game rocks is a huge understatement. So, basically, to not spoil anything and to keep this short and simple, if you liked the first Portal, you’re gonna love the second one! 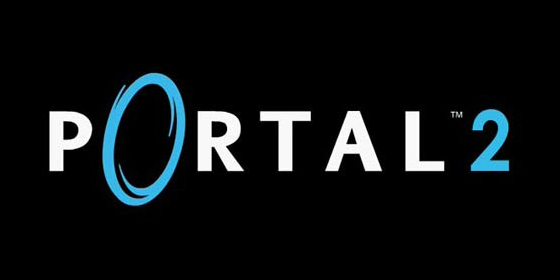 If you didn’t play the first Portal game, go grab it on Steam and then get to solving Portal 2. Also worth mentioning is the (nowdays hugely overlooked) co-op mode, which is almost another campaign on its own! Get a friend and play the co-op together. It’s tons of brain twisting fun! Portal 2 is one of the very rare games I had to finish in one go. I sat down to the game at about 9pm, fell asleep at about 4am and continued playing the next day when I woke up until I finished it! Same for co-op. We played the game for good solid 4-5 hours straight with my brother. It was absolutely amazing and very refreshing from all the FPS titles available nowdays. Simply put: go buy this game NOW! Since Max 2008 (I believe) we have the great SciTE MAXScript editor in Max. It’s an awesome IDE. Very flexible, very lightweight, fast and powerful. Sure, there are much more robust or more beefed up IDEs out there, but for an integrated, dedicated, MAXScript IDE, it’s simply awesome. It’s so good I installed SciTE standalone and use it as an IDE for my Python and other scripting tasks. So, I’ve been trying to unify my code page across the SciTE editors (the standalone and the integrated Max’s editor) and settled on a standard UTF-8 encoding, which seemed to work just great. However, I just bumped into a very strange bug where Deadline reported a “bad syntax” error on my jobs which were using PostLoad scripts to automatically repath all my assets in my scenes. The worst part was, the scripts were perfectly fine. They worked just fine in my local Max sessions, but they refused to work when run on the farm. I accidentaly discovered that it was related to the file’s encoding. When I resaved the file in Notepad (on my server) using the ANSI character encoding, the jobs suddenly started to work. So, if you’re using a UTF-8 encoding in your SciTE editors, including and especially in the integrated Pro Editor in 3ds Max, make sure to save the scripts in a different encoding before executing them on the render farm.